I made these breakfast rolls as I saw them as a good change from croissants and I felt they would freeze and reheat very well. I was right! Well worth the effort. They are a really nice accompaniment to a small savoury and the orange flavour has a very nice wee punch. The original recipe came from CammyLee at Recipe Snobs, thank you, but I did make a couple of small changes. To prepare dough, dissolve the yeast in warm water with a dash of sugar in a small bowl; let it stand 5 minutes. In a large mixing bowl add 1/4 cup sugar, 1/2 punnet of sour cream, 2 tablespoons softened butter, salt, egg, and yeast mixture. Beat with a mixer at medium speed until smooth. Add 2 cups of flour to yeast mixture; beat until smooth before adding the last cup, stirring until a soft dough forms. Turn dough out onto a floured surface. Knead until smooth and elastic (about 10 minutes); add enough additional flour, 1 tablespoon at a time, to prevent your dough from sticking to hands and the bench. Punch the dough down; cover and let rest for a further 5 minutes. Divide the dough in half. Working with 1 portion at a time (cover remaining dough to prevent drying), roll each portion or dough into a 12-inch circle on a floured surface. Brush surface of each circle with 1 tablespoon melted butter. Combine 1/4 cup sugar, orange juice and rind. Sprinkle half of sugar mixture over each circle. Cut each circle into 12 wedges. Roll up each wedge tightly, beginning at wide end. 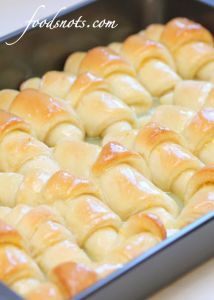 Place rolls, point sides down, in a baking pan coated with cooking spray. Cover and let rise 25 minutes or until doubled in size. Bake (not fan bake as they cook too quickly) at 180 degrees C for 25 minutes or until golden brown. While the rolls bake, prepare the glaze. Combine 1/4 cup sugar, 50 grams butter, and orange juice in a small saucepan; bring to a boil over medium heat. Cook for 3 minutes or until the sugar dissolves, stirring occasionally. Remove from heat; cool slightly. Stir in sour cream. Drizzle glaze over warm rolls; let stand 20 minutes before serving. I then froze the rolls complete with glaze. I placed the defrosted rolls in a cold oven (set to 175 degrees C) for 10 minutes. They reheated very nicely. During autumn we have a plethora of figs which grow wild down at one of our local beaches. I found this recipe on the Australian Broadcasting Corporation website and was really pleased with it. The vanilla with the figs makes for quite a decadent breakfast. 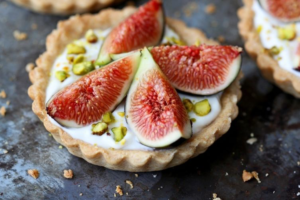 The stewed figs also freeze well which means I can serve these to our guests all year round – well as long as they last without being gobbled up! Please note the photo is not mine as I am hopeless with a camera, but this “found photo” is a pretty close rendition of how they looked. I used slightly less honey than the recipe called for as I just found it a wee bit too sweet. 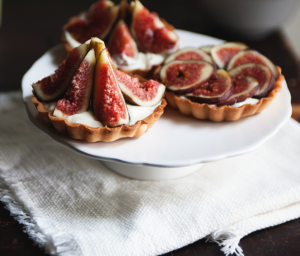 These figs are great as a special breakfast with yogurt and cereal. Our guests also ate them as dessert! Rinse the figs and pinch off the stems. Cut them in half. Split the vanilla bean in half. In a small saucepan, combine the honey, water, vanilla bean and lemon zest over a low flame. Stir to dissolve the honey and turn off the heat. Add the figs, gently toss them in the honey mixture, and let them rest, covered, for an hour. 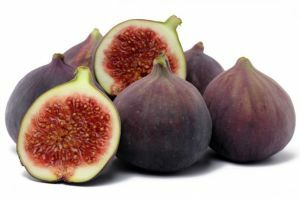 Turn the heat to very low and gently simmer the figs for 30 to 40 minutes, turning them carefully so that they don’t fall apart but are just cooked through. Remove the pan from the heat and let them cool to room temperature. 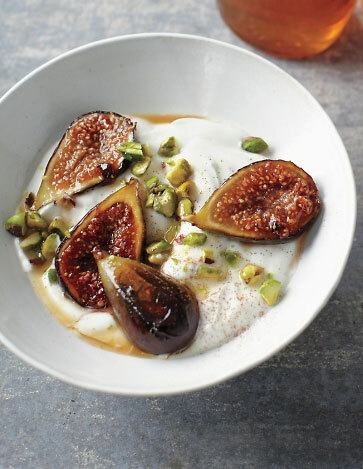 To serve, divide the figs between two bowls and spoon their pink syrup over them. Just north of the base of the Whangaparaoa Peninsula and is only 40 kilometres north of central Auckland you’ll find Orewa. Famous for its beautiful beach, 3km of golden sand that all kids enjoy, Orewa is perfect for a day trip or a long weekend escape to a comfortable bed and breakfast away from home. Orewa is a lot less crowded than many other beach-side places this close to Auckland and the beach is clean with great playgrounds and cafes all in safe walking, or bike riding, distance. 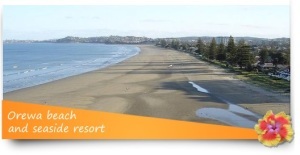 Orewa is a great destination if you like swimming, surfing, kayaking, windsurfing and kite surfing. For coastal views, you can’t beat a stroll along the Millennium Walkway. 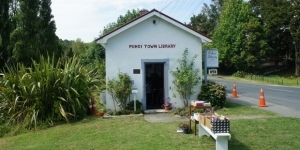 Orewa also has a comprehensive shopping centre and a wide selection of eating places. A recommended way to pass a very agreeable hour is cycling the Te Ara Tahuna – a 7.5km walkway / cycleway around the Orewa Estuary. The 2.5m-wide path includes 5 bridges and state-of-the-art lighting to create a safe, shared space for pedestrians and cyclists. 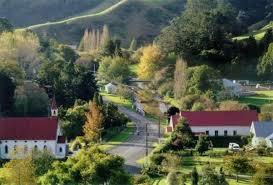 The route is entirely off-road, although there is a road bridge with footpath on the Hibiscus Coast Highway. There is a short uphill section on the bridge over the Orewa River at the western-most point of the pat and a couple of other gentler slopes, but overall the route is mostly sealed and quite easy to ride. Orewa has everything you need for a good old-fashioned beach holiday – even if it is just for a weekend. Stay with us at Mahurangi West Wing Bed and Breakfast which is just a quick drive up the road and you’ll leave feeling refreshed and ready to take on your next challenge! 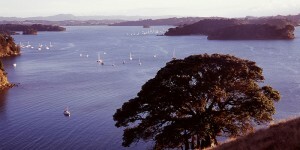 The Mahurangi Regatta is held every year on the Saturday of Auckland Anniversary weekend. The Mahurangi Regatta is part of the world’s largest regatta which is sailed out of Auckland’s Waitematä Harbour on the Monday. Watching the flotilla arrive in the Mahurangi Harbour as a flowing river of red and green navigation lights stretching back to Whangaparäoa Passage on the Friday evening is truly spectacular. We usually take some chairs, a picnic and a bottle of wine up to Tungutu Point, which overlooks Sullivan’s Bay and the Regional Park, to watch the boats come in. A really great night! 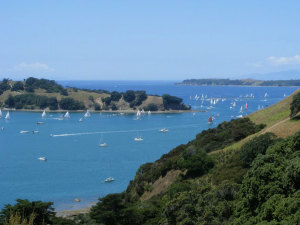 The harbour brims with yachts on the Saturday and hundreds of smaller boats arrive by road for the afternoon’s racing, which is all within full view of the picnickers in Sullivan Bay. Families come Sullivan’s bay to enjoy the views and the fun shoreside competitions such as the egg and spoon races, swimming races, sand sculptures and tugs of war which are put on by the Mahurangi West Community. The evening sees the prize-giving and dance in the large marquee at Scotts Landing, across the water from us. As Anniversary Weekend does get very busy at Mahurangi West you need to make sure you book your accommodation at Mahurangi West Wing bed and breakfast well ahead of time!